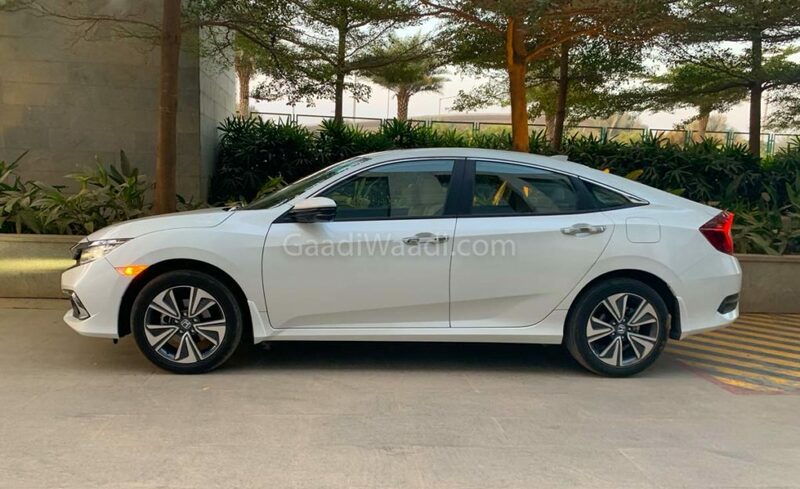 Honda is going to launch the much awaited 10th generation of Civic next month in India and for the first time, the Civic will come with a diesel engine. The 1.6 L i-DTEC unit in Civic produces 120 PS of power at 4,000 rpm and 300 Nm of torque at 2,000 rpm. Initially, the diesel engine will be only mated to a 6-speed manual gearbox. According to ARAI, the new diesel version of Civic returns 26.8 Km/l, which makes it the most efficient diesel sedan in its class and it is more efficient than the City diesel as it returns 25.6 Km/l only. The 1.5 L diesel engine in City produces 118 PS at 6,600 rpm and 145 Nm of torque at 4,600 rpm, this engine is mated to 6-speed manual gearbox. The new generation of CR-V launched last year also come with this same diesel engine but it is only available with a 9-speed automatic gearbox and it returns 19.5 Km/l. Globally Honda also offers a powerful version of this same 1.6 L diesel engine but for cost reasons the company didn’t introduce it in India and Civic diesel automatic is expected to arrive later. The Civic is also available with a 1.8 L i-VTEC engine produces 141 PS of power at 6,500 rpm and 174 Nm of torque at 4,300 rpm. This engine is mated to a CVT gearbox and returns 16.5 Km/l. The diesel version of Civic tips the scale at 1353 kg while the petrol variant at 1,3000 kg. The new Civic is longer and taller than earlier model while width has dropped. Honda Civic measures 4656 mm length, 1799 mm width, 1433 mm height and the wheelbase is 2,700 mm. 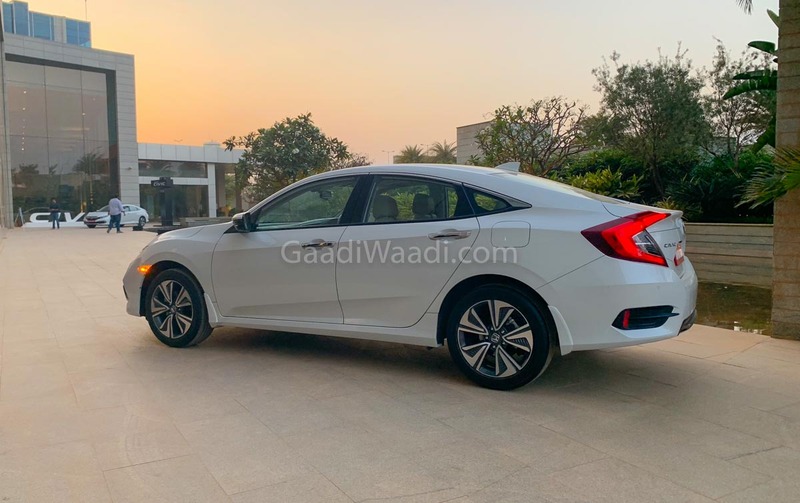 The boot space of Civic is 430 L and the design of new generation Civic took inspirations from the Accord as the front get chrome finished grille with LED headlamps and tail lamps with a new set of bumpers. 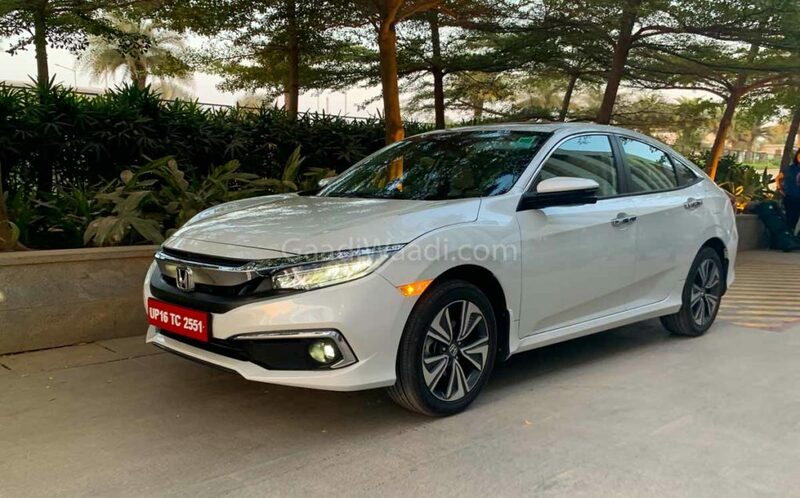 The sedan rides on 17-inch alloy wheels and the company has packed the Civic with lots of features like 7-inch touch screen infotainment system with Android Auto and Apple CarPlay, climate control, multi-angle rear camera with parking sensors and more. The Civic also comes with advanced safety features like Honda Lane-Watch, Vehicle Stability, ABS with EBD, Airbags to name few.